Yea so what blogger wouldn’t write about a new version of Google Earth arriving. Got to keep up the page views. 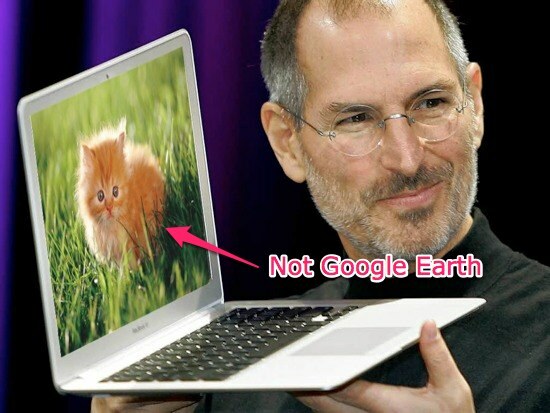 What kind of traffic can I generate with a picture of Steve Jobs holding a MacBook with a picture of a kitten on it?